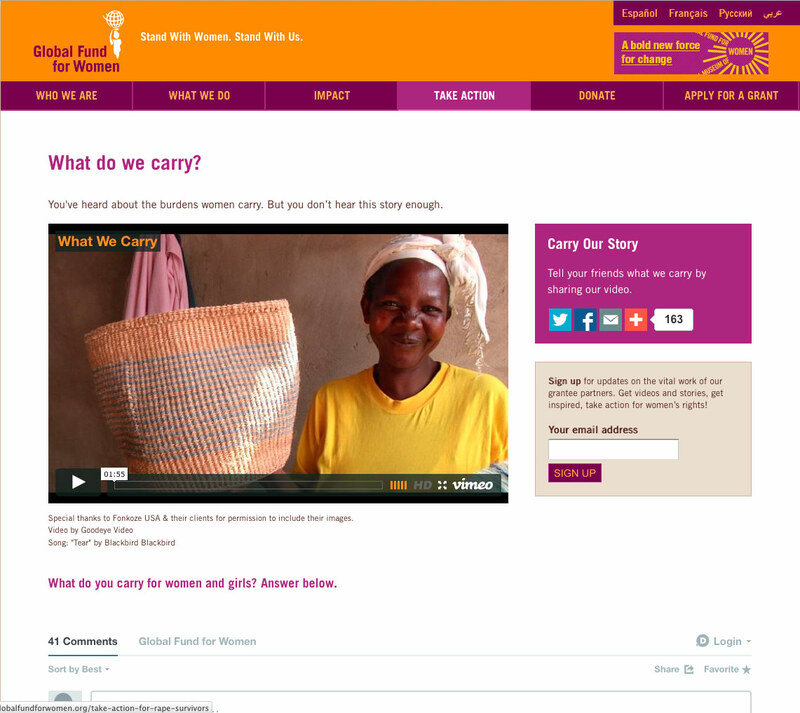 The purpose of the “What We Carry” campaign was twofold: to engage existing supporters, and to introduce ourselves to new audiences. I produced a video that framed the Global Fund’s work in a broadly appealing, emotionally compelling way, and it became the centerpiece of the campaign. We received hundreds of comments on the landing page and across social media channels, and thousands of shares, most from people who were new to the organization.